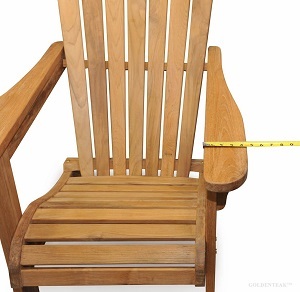 Dimensions: 37.5" H x 27.5" W x 33" D"
Never Replace your Adirondack Chairs again. Teak is the premium wood for the outdoors. 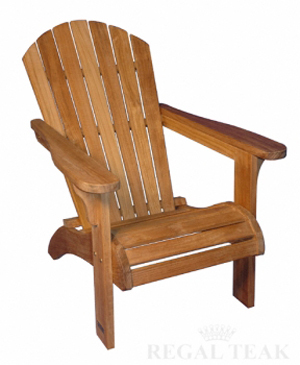 Our Teak Adirondack Chairs are EXTREMELY WELL MADE. We use very heavy sections in the construction of this chair - with the frame parts being slightly over 1 inch thick. The dimensions of this chair are substantial - allowing you to relax without feeling cramped. All our products project quality - starting with premium teak wood, using mortise and tenon joinery (best construction methods) and using thick sections of wood for strength and durability. Compare us to Kingsley Bate. 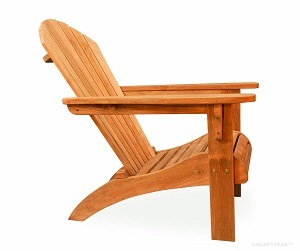 Our Teak Adirondack Chair will last for years without attention. 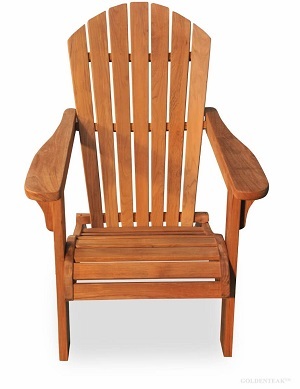 Beautifully designed, well constructed and comfortable teak Adirondack Chair. Seat height at front is 15.5"; at back, 9". 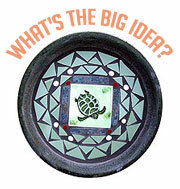 Add our teak ottoman for a perfect place to put your feet.